Mia has been really hard work for me the past couple of months. She really is a 5 year old going on 15. The things she comes out with are pretty funny but not funny at the time. Her attitude really does stinks and if anyone told me a 5 year old could have that kind of attitude, I would never believe them. Everytime she has this total meltdown there is nothing I say or do that will snap her out of it. She will carry it on for a long time. Sometimes I can snap her out of it when she first starts but not always. When she has those tempers and attitude it can be really hard to cope with. In fact I feel like I can't cope with her attitude most of the time. It really does get me down. However. 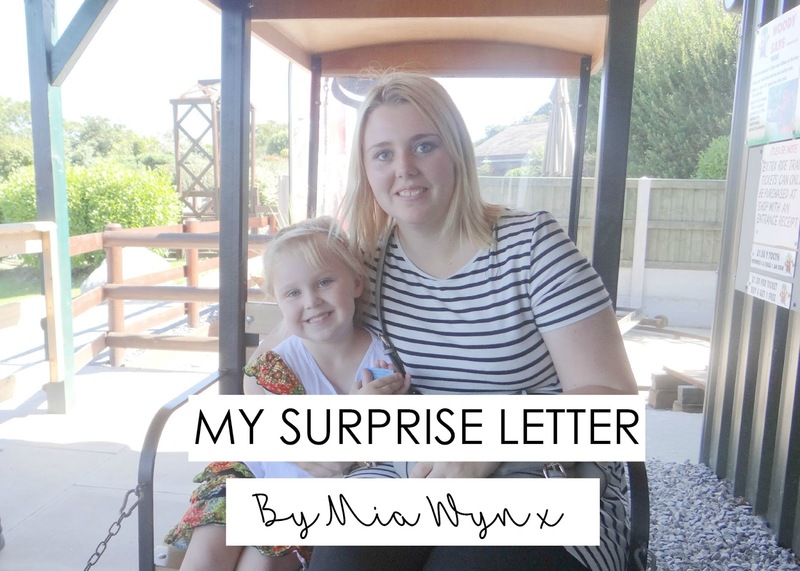 On Wednesday (7/10/15) Mia did an accident and she had a row for it. She was sent straight the shower instead of the bath and then straight to bed by 6pm. I may sound harsh there but Mia has been soiling her knickers and nappies since 2 and a half years old. Just over a year ago I would have to change her up to 12 times, sometimes more. It's not as bad as that anymore (thank god!). But there are days and weeks where she will soil and pee throughout the day. I will talk more about her toileting problem in another post soon. Wednesday evenings I go to Slimming World group by 7pm. Mia hates me going. On Wednesday she heard me going out, went to the window and she was screaming for me. It's heartbreaking watching her in the window crying so much. Especially since she had a massive row less than an hour before I went. I promised her a kiss and cuddle once I came back. When I arrived home I went straight upstairs to give both girls a kiss and cuddle. When I went to Mia she woke up and she had the biggest smile on her face. She gave me a huge cuddle back and said she had something for me. She got it and it was this lovely letter she wrote for me. She also drew a photo of me and her holding hands. To other people it may not mean anything but to me it makes my heart melt. She had an even bigger cuddle and also a few tears fell down too. 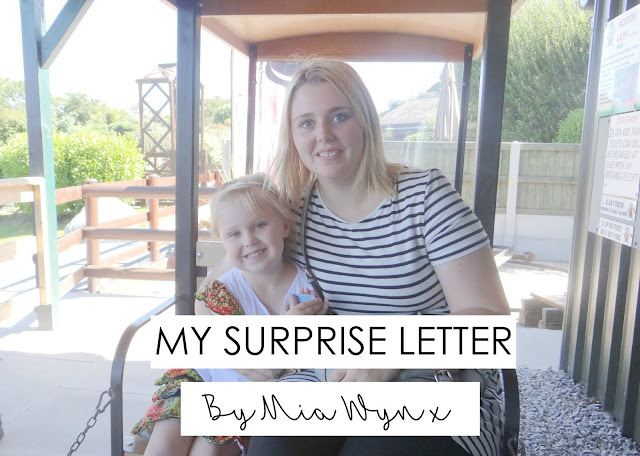 As much hard work as she is, she surely can make me the happiest and the most proudest mam. Special things like this makes all the hard work worth it. 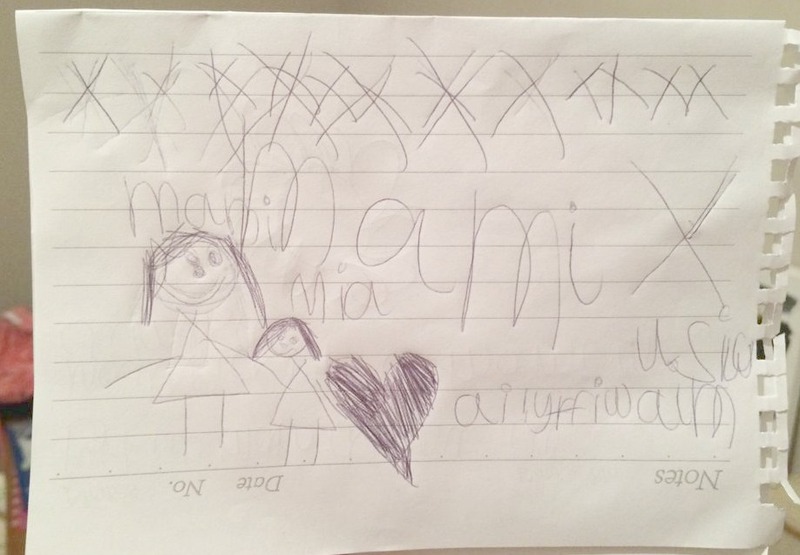 "Mam" | "Mia" | "I love you, I miss you"
"Love you Mam, I miss you" | "Mam I love you Mami, I miss you"
Oh this is adorable and what a thing to treasure. 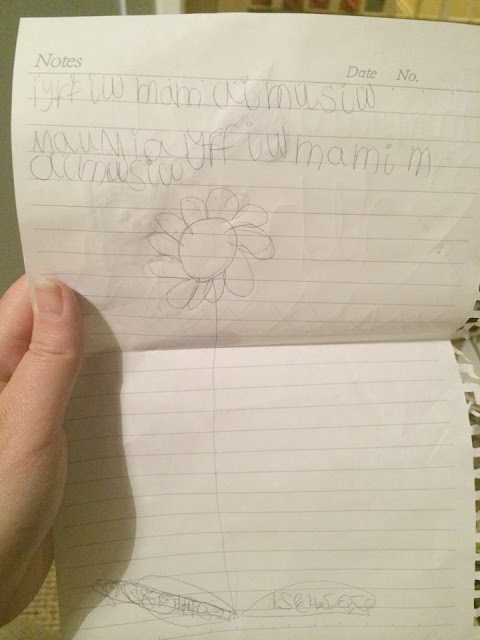 I have a little note in my wallet that my daughter wrote for me, I still take it out to make myself smile. The tantrums sound very similar to my 5 year old daughter's. She makes these beautiful cards for me all day too. Your post brought happy tears to my eyes. How much the little kiddo loves her mom. That letter is her heart poured out. Hugs to both of you. Awww that is so sweet of her. I love little letters like this.